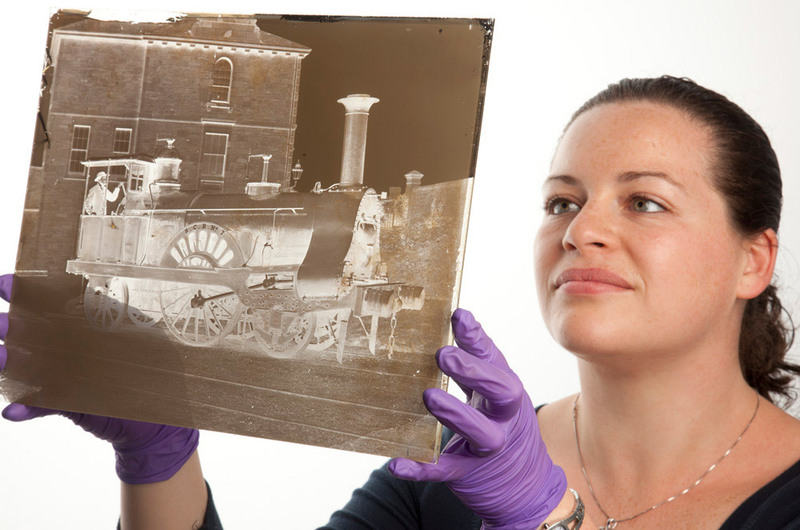 An innovative exhibition which reproduces the glass plate negatives of Victorian photographer Magnus Jackson. Watch a projected silhouette of Magnus coating his plates and talking about the challenges of wet collodion photography. To accompany the exhibition there will be a display of contemporary artist photographers who have recently revived this 160-year-old process. Laura Dowie viewing Magnus Jackson plate.